I need creativity like I need to breathe. I love making things, especially for the kids. Welcome, you’ve arrived at this article because you’re a speed-demon, a motor-head, an avid DIYer looking for the next project, or you have kids and you want to please them big time. Go-carts—or go-karts if you prefer—fulfill all those appetites and come in flavours catering for most tastes. For this article, I’m going to extend the definition to include buggies as well. Of course, not all flavours are equal. As such, care must be taken in selecting the one that’s right for you. Many a home project has sat uncompleted on the garage floor because of failure in this department. This not only wastes money and time, but really annoys the spouse, who will eventually sell it on eBay for 1/10th of its actual value. Taking a slow trip around the track with my youngest daughter. A thirty-horsepower naught-to-one-hundred-in-three-seconds Jet-Cart may be ideal for those with a death wish or seeking to orbit earth, but a tad advanced for your six-year-old. 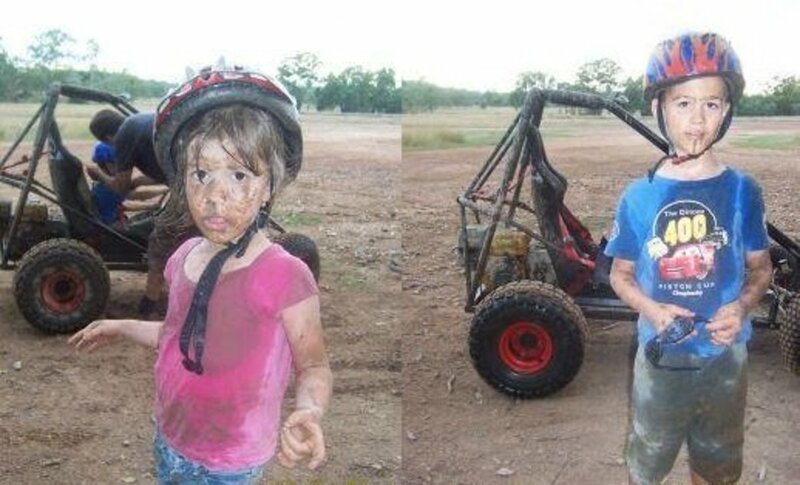 On the flip-side, don’t expect to impress your off-road buggy friends with a three-horsepower solid-frame, no-suspension, bone-judder machine. Therefore, match engine and cart frame size with body weight and speed requirements. What Is It for and Where Are You Going to Ride It? Once again, go-karts and buggies serve different purposes. Do you want to build something small so the kids can simply scoot around the driveway? Or for a teenager who wants to join the local speedway club? 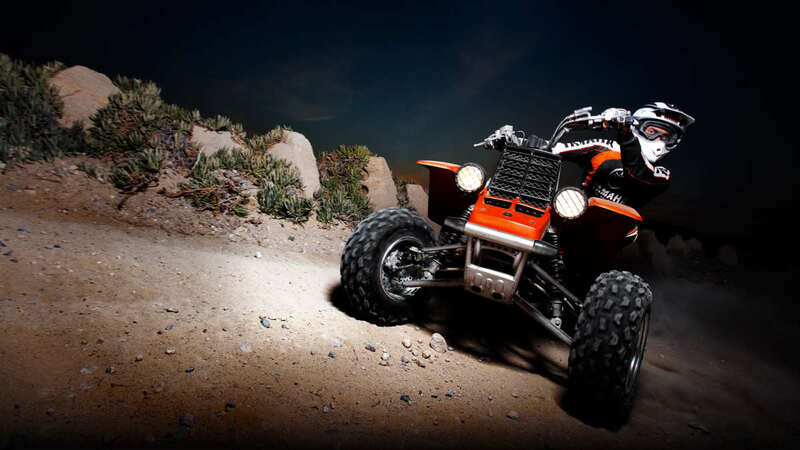 Or for dirt tracks through forest, or extreme jumps down on the dunes? Maybe it’s just to test your DIY skills to see how mean you can make that machine. Consider also that many local authorities now have noise level restrictions that prevent go-carters from riding near built-up areas. I've heard of some having to sell their hardly used pride-and-joy because they had nowhere nearby to legally ride it. Wish I'd built this one. For some they are non-existent, for others they're fair, for a few they can build anything. Which describes yours? Timber is easier to work with than metal and some metals easier than others. Most can use a hammer, but how is your welding? Can you ARC, MIG, TIG? 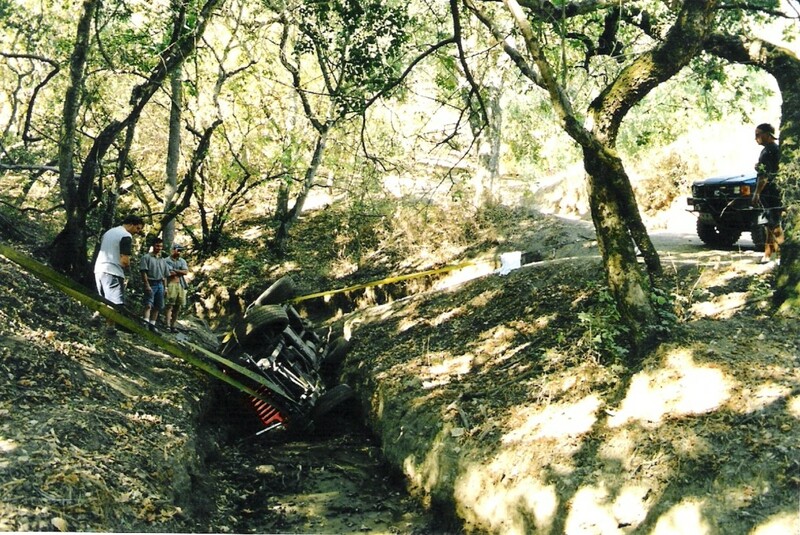 It has to be good welding if you intend to take a buggy off-road or over jumps. How many parts require fabricating and what tools will be required to do this? And even if you had the tools, can you operate them to the level required? For example, do you have a metal lathe that you feel competent enough to turn an axle hub? Tools can be dangerous in the hands of the inexperienced. A go-cart can cost you as little as a few dollars to upward of twenty grand for the true motor-heads. And you do get what you pay for. For example, many cheap go-cart wheels are simply taken from a removalist trolley. However, these have a speed limit of 15 Km, over which the bearings melt. Add a motor capable of 50km to that go-cart—use your imagination. In other words, spend enough to achieve what you require, but not less. This is probably the main reason projects get left uncompleted: because it wasn’t anticipated how long they’d take. 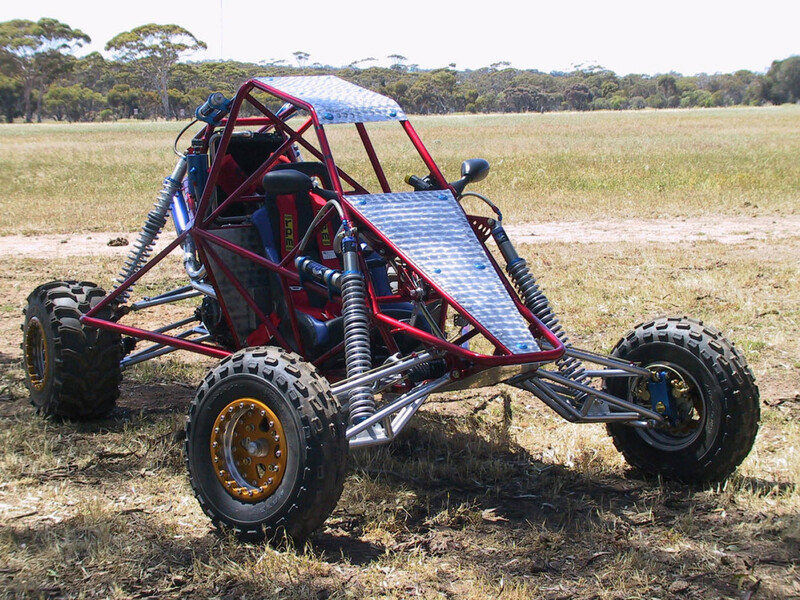 For example, it took me twelve months of fabricating and building on weekends and after work to make my first go-cart. It was a challenge at times, but I had my five-year-old son work alongside me throughout, so it was well worth it. Depending on your skill level, time and budget. You can purchase a plan, build what you can yourself, and then purchase the remaining parts. I did this with my first project, managing to build 80% myself. One such Australian company is EDGE. The more you manage to build yourself, the cheaper it is for you; however it is a comfort to know you can finish the project regardless of your ability. Where are you going to store it? They're not small. How are you going to transport it? Trailers are expensive. How are you going to maintain it? 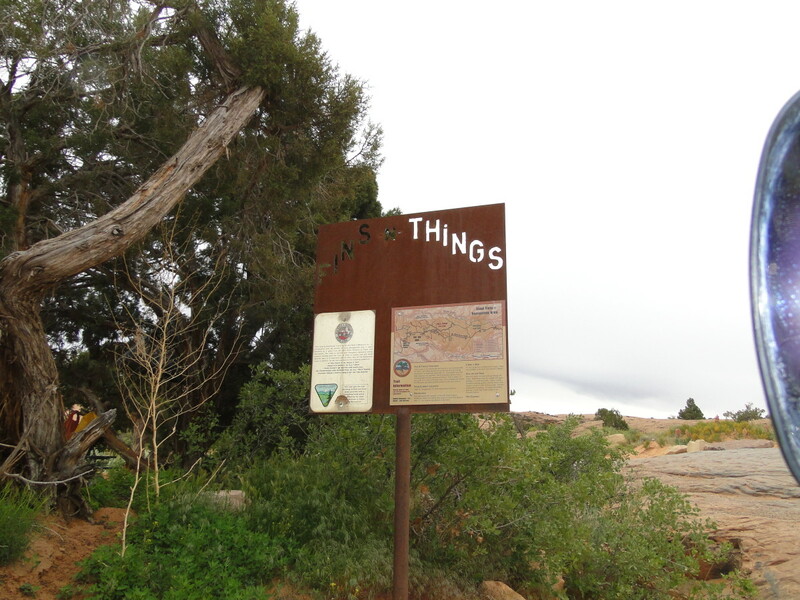 Things break, sometimes often. What safety equipment will you need? Helmets are essential. When are you going to use it? Nothing disappoints the kids (or the dads for that matter) more than a toy they can never play with. Hope this helped in your decision making. All the best with whatever project you decide on, and good luck. @JB ~ Depends on the type of buggy you are building. 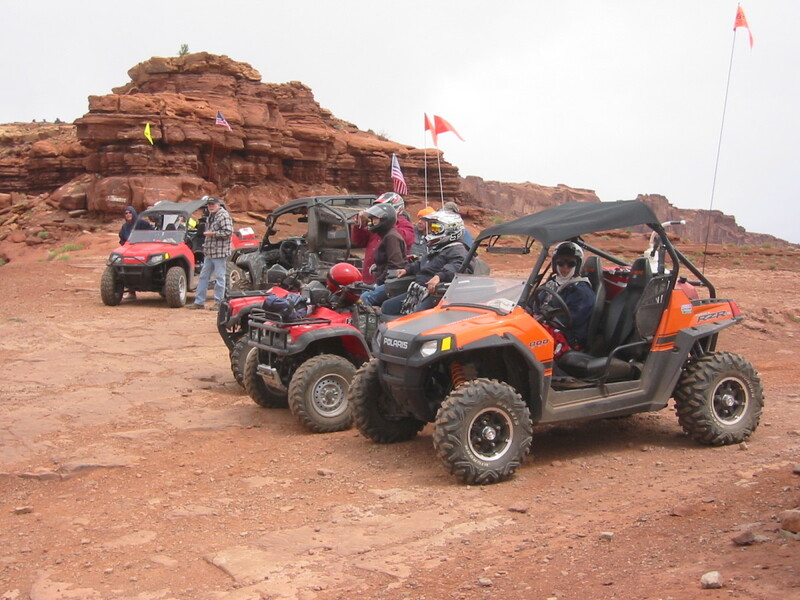 Low torque motors are best for off road as they allow for controlled and plentiful power at low speeds. Without a gearbox though you will be relying on a the torque convertor to mange things, so depending on how extreme you want to go off-road (flat dry dirt, rocky climbs, deep mud), the motor needs to be able to handle the weight and type of terrain. 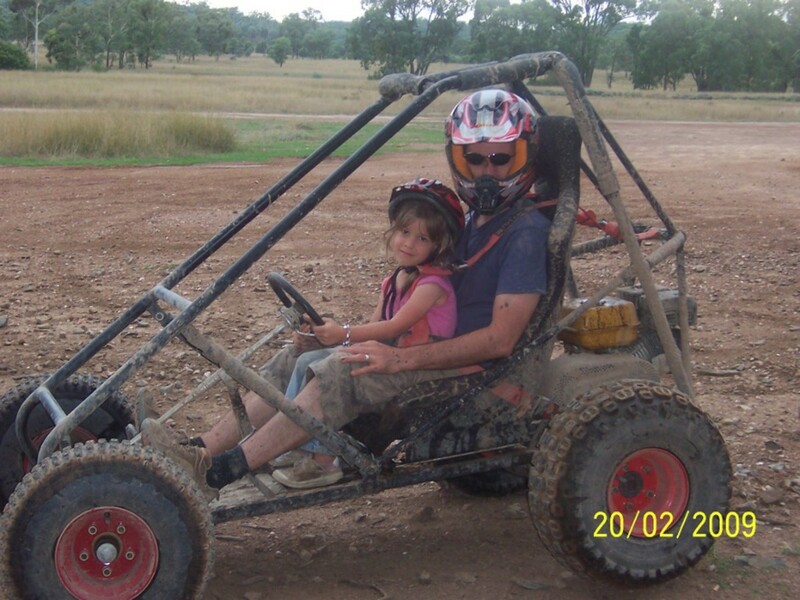 My first buggy had a weight of 125kg plus the driver. I used a simple 7Hp industrial type motor connected through a Torque converter. It was simple and gave reasonable speed and powerful across a usable band range. All the best with your project. i think this is a cool idea. i have been looking to make one for a summer project with my friend matt. i was thinking of using a lawnmower engine or a drivable lawnmower engine. i didn't know what to choose i'm looking for speed and good off road capabilities. what do you prefer? 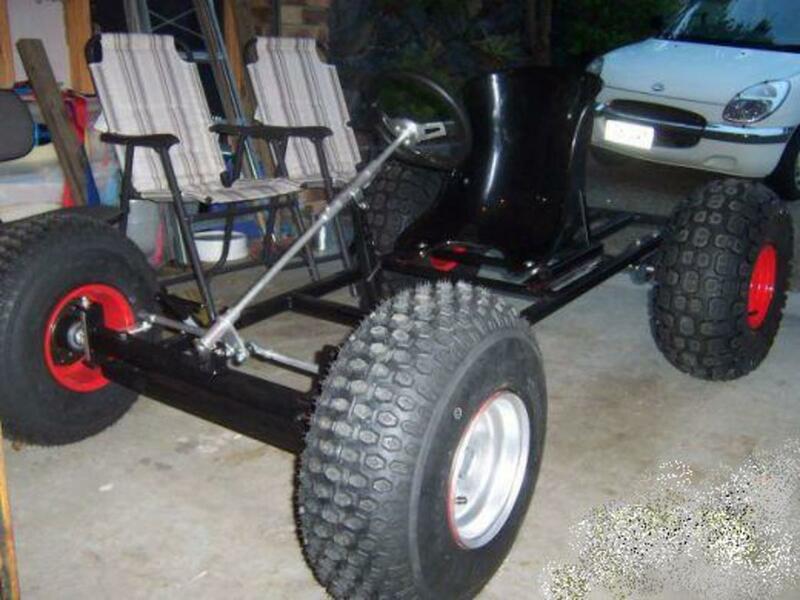 I'm planning my first go kart, which will be off road, with suspension, but still relatively small. I plan to have independent suspension, but I've had trouble finding cv axles small enough. the best I've found are ATV axles, and then there's the trouble of the hub, or making the rest of my parts fit the splines on either end. Any suggestions? @spoofed2 ~ Cheers. That made me laugh. Parr..mad props on your build lessons and great info. I mainly wanted to congragulate u on the guy commenting on u building the batmobile. U are a tru gentleman. And to that guy. I have a 650 cc lowride go cart that i need tested on a very large jump ending in a brier patch. Will u please volenteer . I will provide a helmet but i dont know if it will fit your head whilst up your buttox...happy riding and building to all. 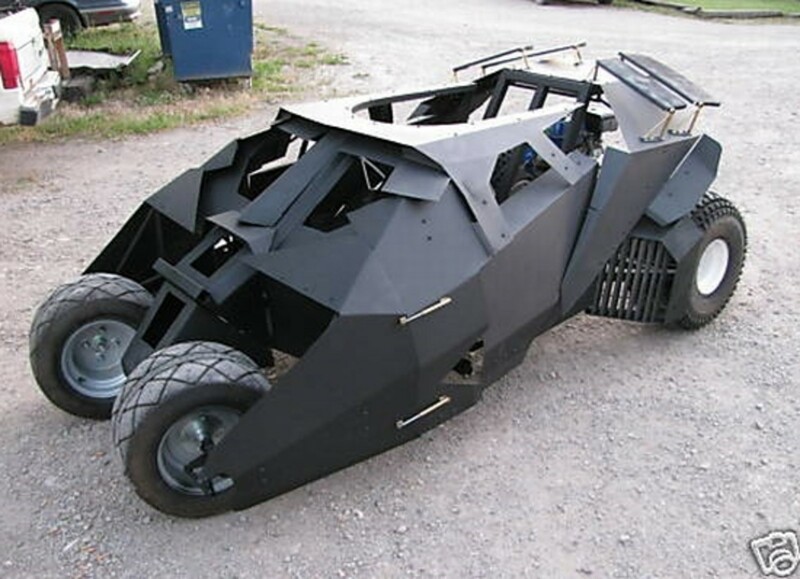 Few issues here, that Batmobile kart... Unless you bought the plans, you didn't make it. A guy in Montana built it from scratch for his kids and was selling the plans. The picture you got of it was from on of his albums from it. He had to quit selling the plans because he did not want any legal issues with the studios...copyright laws are the worst but have to deal with them. The guy that built it goes by the username T-man go karts on YouTube. He has several videos of this Kart during the build process. So don't say you built it unless you have the proof to back it up. Also how much room did you allow for the motor at the back? @H ~ I love a trier. Starting simple is always best when new to something; success is more likely. On my buggy I used a simple 7Hp industrial type motor connected through a Torque converter. It was simple and gave reasonable speed. Going to keep it simple for now. Will add in suspension after a while I think I don't have much experience but am going to give it a crack and as far as the motor goes I'm looking at motorbike motors but not to sure what size any suggestions also I can send you my plans they are just my own designs so probably a million things wrong with it. 30mm box section will do fine I think. Ensuring it fits in your trailer is an important consideration. What sort of motor is pushing it? Will it have suspension (front/rear)? I'd be interested in seeing photos as you progress. Yep that helps, I'm looking at making a kart that I designed myself it is L 2200mm W 800 H 1200 this is just the frame. 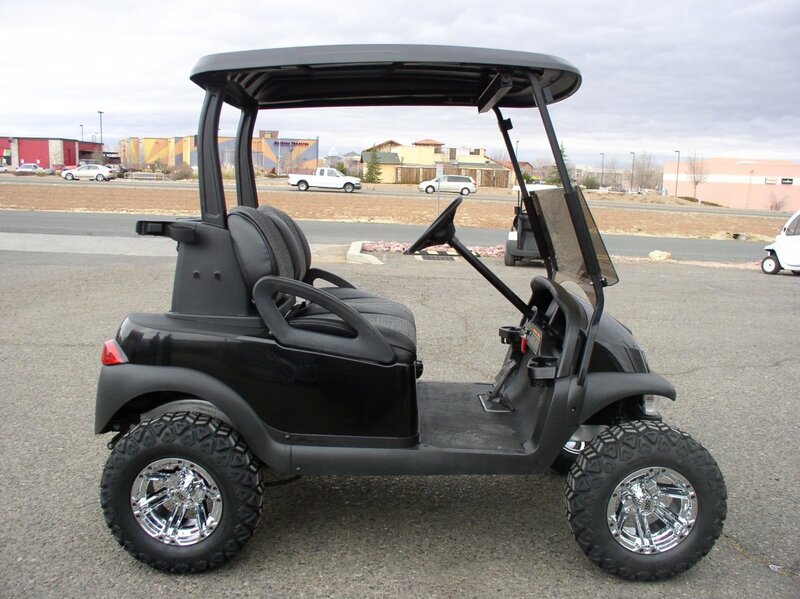 What size square steel would you recommend For an offroad go kart? The frame is one of the easiest parts of a go kart to fabricate, if you are proficient in welding. Failing that, cart parts, including frames, are available via ebay and other online markets. All the best with whatever you end up doing. Hey Ziggy. Thanks for stopping by to read and comment. I wish they gave me the chance to build go-carts during my school days. The workshop you describe sounds like a nice place to spend your days. ATV Suspension might work. Rear suspension is always easier than the front, because the front has to also incorporate your steering, so not sure how you might work the ATV in. Don't forget to take photos as you progress, and post them on hubpages. All the best mate, and good luck. thanks for all the help and photos and the consideration you need to think of when making something like this. Iam gonna to hopefully make one of these at my school since we have a huge metal work area full of oxy,mig,arc welders,huge metal cutters,benders with and i think its one of the biggest australian state school workshops. parrster hiya. The stuff you built is cool. Ive just made a 'Volks_Quad'which cost less than £100 to built, but its tiny. i reckon this sort of stuff intrigues us 'mature' kids some times. Im gonna built something more able for the muddy tracks around the forests we have here. Take a look at it and tell me what you think. Your black creation is inspired by a 'Mad Max' Type look, Yeah?